One of my other interests is trying to live a life that is environmentally sustainable [Yes, I AM carbon-neutral] and I surf a lot of blogs with eco-friendly themes trying to find new tips. 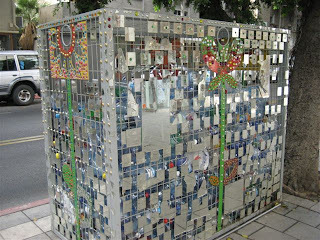 Reduce – reuse – recycle…and create cool public art! Butterfly Blue, originally uploaded by Mosaic Place. 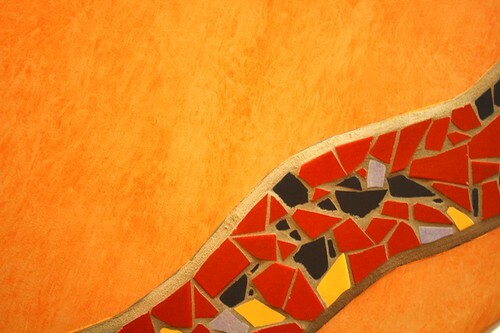 Mosaic Orange, originally uploaded by mLunde. And what an orange fit for an Orange Festival. There are mosaic ladybugs on the leaf. 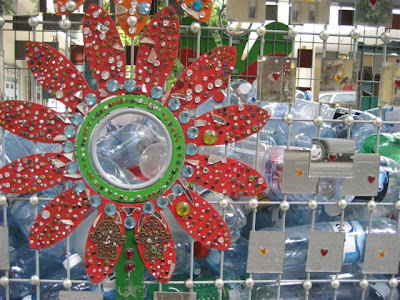 These were later sold to raise money for the town of Riverside. Mosaic, Barcelona Tapas, Lime Street EC3, originally uploaded by RobWinton.